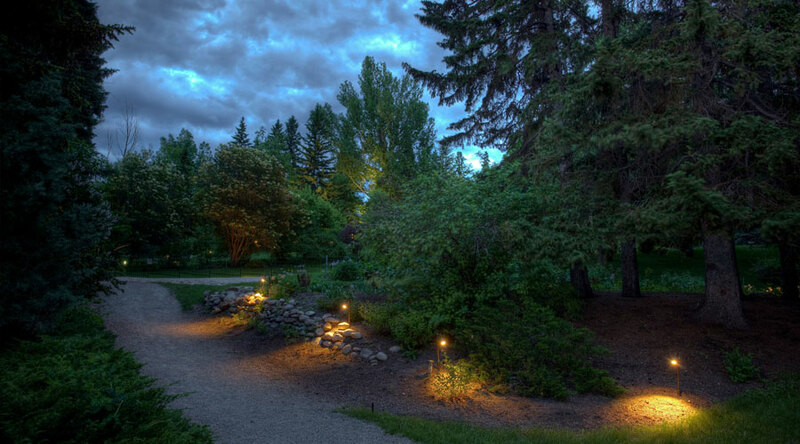 This historic garden, created by the first City of Calgary gardener, was an experiment in horticulture to find plants that can survive this climate. 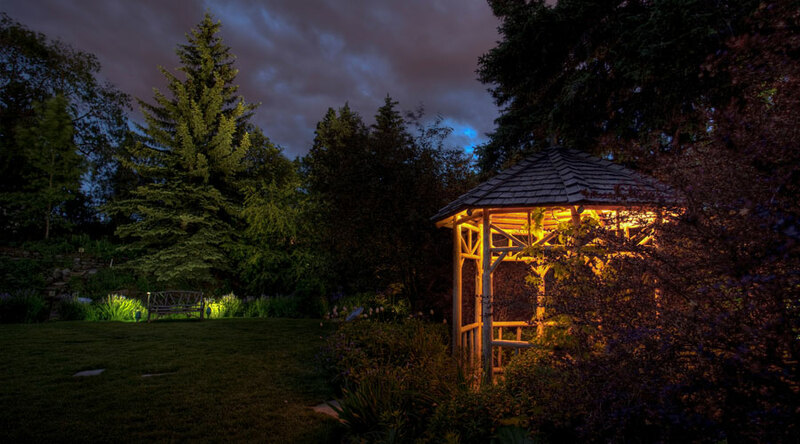 LDI designers lit the landscape to create a nighttime visitor experience and to advertise this gem to people visiting the Stampede Grounds and passing through the city. 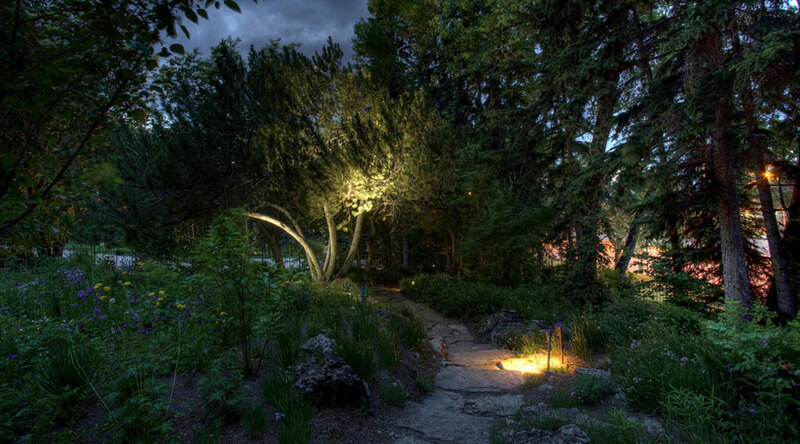 The streetside of garden evergreens is lit with a crisp white light to contrast the nearby yellow hued streetlights – creating a natural billboard for the rock garden beyond. 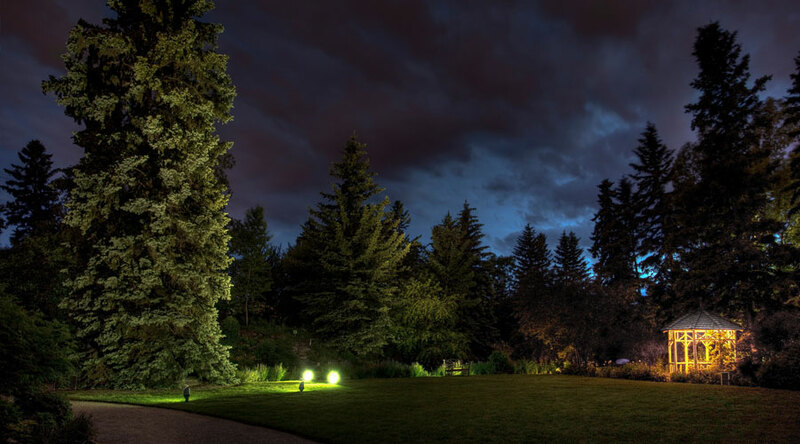 When you first enter the garden, the wall of 100-foot evergreens is lit and provides light to the space and a feeling of awe. 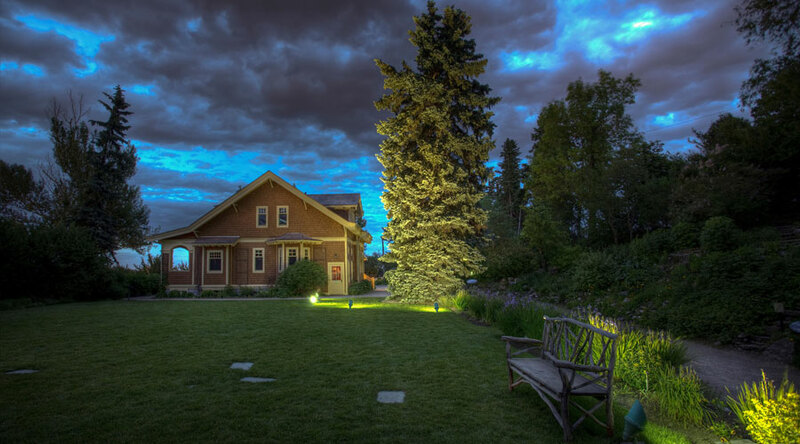 The garden contains several rare trees, a 100-year old lilac, a 125-deciduous tree, and the oldest and tallest known spruce tree in Alberta. 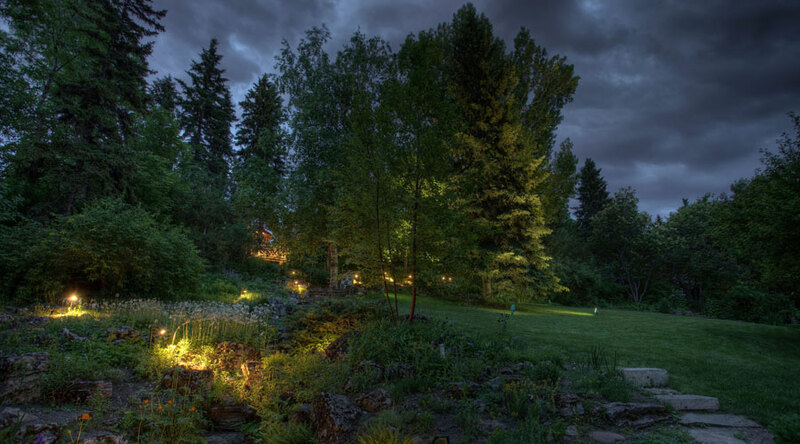 When experienced at night, visitors can see these main players as individuals that stand out in the garden. By putting light where it was needed, the designers at LDI saved energy and provided a safer environment for the people who visit the park in the darkness. 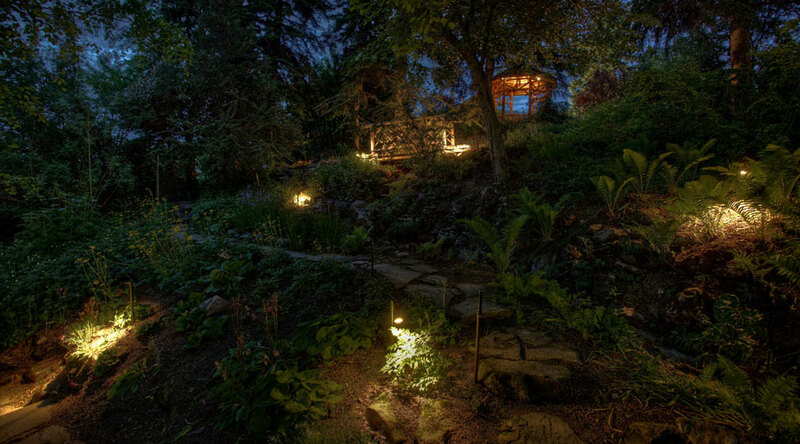 Paths that are safest to use at night are lit, and the most dangerous ones are in complete darkness. Replicas of the historic bridge and gazebo on the cottage lawn are now lit and the beautiful things on the lawn outside the windows of the cottage are now visible to the evening diners at the restaurant. William Reader was a courageous man, hiking mountains and descending into canyons to find plants that could live in Calgary. 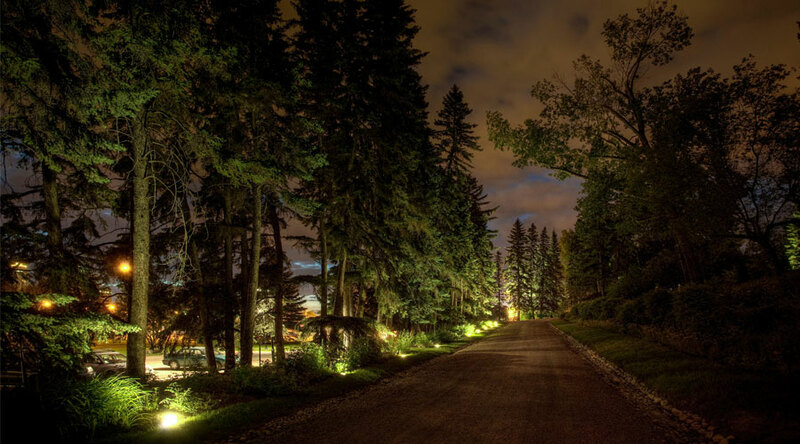 His persistence paid off – and now Calgary is green and enjoyable to the City residents and visitors.